It was January 1st 2011 in New York City when Anna Gerberich and myself did the first Ballerina Project of the year. Because it was winter in the city it was not a typical time for a project shoot. The majority of ballerinas shutter at the idea of shooting in the bone chilling weather. On the other hand Anna was enthusiastic to do a shoot for the project and prospect of freezing did not dissuade her. For this shoot there would be several first. It would be the 1st of the year, it would be the first time Anna and myself worked together and it would also be the first time I would do a short film along side the still images. Anna was introduced to me from her fellow company member Kate Behrendt that had shot with me on many occasions for the project. I trusted Kate’s word and she had always spoken very highly of Anna. Anna was a principle dancer in their company so Kate had always looked up to her. I had no worries that Anna would be great for the project. As for shooting a short film that was where the majority of my concern was to be focused on. For some time I had believed that motion picture would eventually become the way for the project to branch out. It would pick up where the still images left off and help carry our viewers further. The preparation for the short film started about a month earlier with the creation of the music. I certainly couldn’t afford the usage rights to existing music so I contacted a musician friend Veronica Charnley to create a piece. (Veronica is a uber-talented vocalist and musician that I had met the year before. She is part of a band called Flotilla that recently moved to New York City from Canada. Click here to purchase music of Flotilla on Itunes) The advantage of creating music for this film was that I could work with Veronica on setting its mood and pace perfectly. On several occasions Veronica and myself met at Starbucks and discussed at length different ideas for the music. We talked about topics like making the music danceable and also the different themes and scenarios to base the music upon. One of the reoccurring themes was winter and the changing of seasons. Like most people going through a winter you cannot help but think of the warmth of spring. I guess it was pretty natural that we pondering this in December. After Veronica threw several songs at me we settle on one called “Winter Repose”. One of the first things I did when I first met Anna for this shoot was to have her listen to the song that Veronica created. Not only would it inspire and set the stage for the short film but it would also be the inspiration for the still images. Luckily Anna loved the song and quickly started to imagine the mood and steps for the upcoming two days of shooting. We then jumped on a uptown 1 train to 157th Street to go to our first location at Fort Washington Park. On the way to the location we decided to use the subway stop at 157th Street for parts of the both the still and motion segments. I often feel that points along the way make for the best locations rather than just the destination. The temperature was around 40 degrees Fahrenheit that day so it didn’t take too long before Anna was frozen. The one of the most difficult things to shoot in is in the cold. No matter how determined your subject is their body will quit working once it is too chilled. One of the memorable images of the day was taken while Anna sat frozen on a park bench at Fort Washington Park. The next morning we had a early start around 6 am. It had rained for most of the night and had just started to let up around the time we started. The first location we went to that morning was the north end of Washington Square Park. Just as the fog started to left we began filming what would become the first scene of the short film. This location is where Fifth Avenue starts along its way up Manhattan. After we left Washington Square we walked over to the 6 Train at Astor Place. The subway station at Astor Place has a beautiful curve to the tracks and platform. This would be another beautiful location for us to do both motion and still images. Timed perfectly with the arrival of a 6 train this location would end up being the second scene in the short film. After shooting at the subway station for a bit we jumped onto a uptown train. When the trained emptied near the end of the 6 line we finished off the first shoot of the year for the Ballerina Project. Being this was the first shoot that the project did both motion and still images it was a true learning experience. The one thing I did learn was that it would be difficult to do both on the same shoot. I personally feel it takes two different mind sets and time is needed to be dedicated to one or the other. I do plan on creating more short films for the project but I will need to figure out the best way to manage our scheduling and resources to do so. 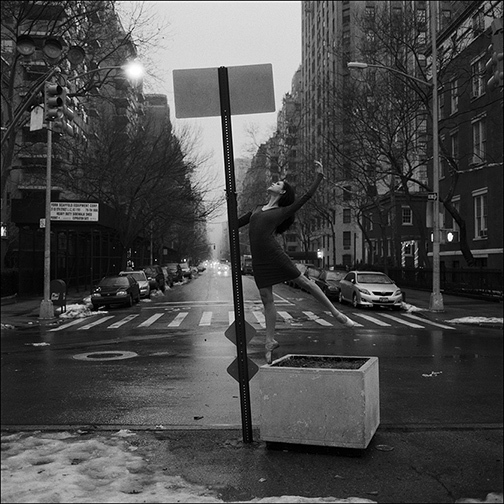 Ballerina Project – Winter Repose from Ballerina Project on Vimeo. The video was great! There was not a tremendous amount of movement,however there did not need to be! The Dancer portrayed enough emotion in her dancing to make it stir up a personal feeling inside the viewer. it was awe inspiring and entertaining all at the same time! It takes true talent from both the dancer and the production and filming team! I love the video and music. The result is deep and very delicate. I hope to see more soon. Thanks! beautiful video! would love to see more! I am SO in love with Ballerina Project. All the pieces portray elegance, stillness and peace in such a gorgeous, unique way. Keep at it! It is always exciting to see the new additions, including video! I LOVE this! I want to look like them some day well I Dance. I want to be as strong as them. I LOVED the Video and the Pictures are BEAUTIFUL! Fascinating and haunting! The movements’ simplicity set against the subway’s background created a sense of the coldness of machinery. As the dancer touched the cold pillars she brought moments of fragile warmth into the environment. The song was moving and the voice of the singer delicate yet strong. Beautiful photographs – very inspiring. Beautiful! Would love to see more than just profile shots, perhaps shots of the dancer with back facing the camera. Can’t wait to see more! Loved the video! So pure and beautiful! This project is amazing. I’m a student here in Miami, FL studying Opera so any art that stems from the Classical realm excites me. I’m also taking a dance class of mixed styles from Ballet to Modern Dance, so I’ve grown to respect Ballet so much more than I had before because let’s just say, it’s hard to walk up two flights of stairs when your calves are burning from being on releve for so long. Your ballerinas are gorgeous and talented. Not to mention your photography is phenomenal. Bringing the beauty, gracefulness of these women and the art out into the dirty, gritty streets of New York City. I am blown away. If you have future plans to do a project of any kind down here and need music, contact me please. I’d love to work with your kind of talent. God gave all included in this project very special gifts. And it’s a blessing for your audience to witness it. Love the winter repose video! The music, the dancer, the video editing and shooting blend in a wonderfully languorous yet beautiful way. What an emotive piece! And your opening photo taken on 1st Jan is my favourite still image. There is something profound in the movement of the body, which elucidates the mind and soul. In the movements that you have portrayed, I found that each one resounded a sense of beauty and awe. Well done. I look forward to seeing more. Quelle belle poésie pour les yeux! Merci de nous émouvoir et nous offrir tant de beauté visuelle. I love the Ballerina Project!!!!! One day I stumbled across it while searching for a picture of a ballerina in the rain, and I found one of these! It was fate. The pictures are soooooo inspiring, and I love how it captures ballet so well!!! It is just everything ballet is in a nutshell! such a lovely project. definitely reflects the beauty and purity of ballet. can’t wait to see more! Felicidades por este gran trabajo, me encanta. Aunque no sea el tiempo ideal para hacer esas fotos han salido preciosas!!! Very awesome(! 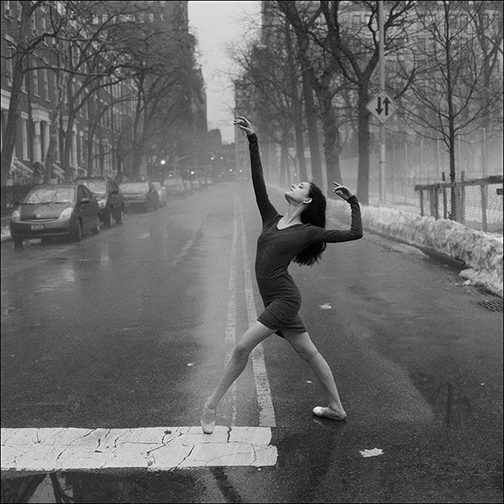 )The Ballerina Project is the best project I’ve ever seen and thwe videowas great. It would be great, if you were shootin Germany or Europe. Juste sublimissime. J’aime la légèreté et la beauté de ces images et de tout ces photos! Je fond juste devant! M-a-g-n-i-f-i-q-u-e!!! Amazingly Beautiful …….There is always something about the movements of a ballerina so peaceful and delicate. Would love to see more ….Great job. ……and a “Hey” to a great girl Helen I would love to see you dance! the video made me cry.it was well done .we love you anna !! !